There are numerous activities and attractions around the North Georgia area. It is ideal for a couple to relax or for a family getaway. Nevaeh Cabin Rentals will allow you to have some privacy, yet you won’t be too far from the many activities you wish to take part in. Here are some ideas for you to consider. 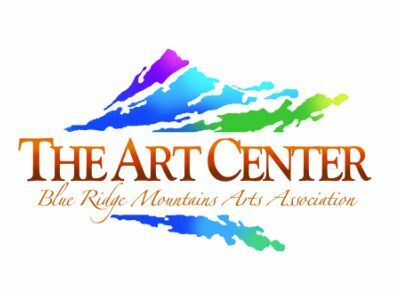 The Historical area of Fannin County offers the Blue Ridge Mountain Arts Association. There are classes you can sign up for that offer you a great way to create your own art work. If you would like to just see what is offered, there are plenty of exhibits throughout the year. There are also lots of concerts and festivals so make sure you check out the schedule for when you will be in the North Georgia area. Obstacle challenge course in the air featuring suspended bridges, tight ropes, climbing walls, ziplines, and other fun obstacles for every age and ability. Four amazing aerial courses to play on. These invigorating obstacle courses let you enjoy over 50 obstacles ranging from moderate to extreme difficulty. 3 hour guided walking tours will take you on a tasting adventure. Each tour makes 5-6 stops to various eateries offering a wide variety of food and beverage tasting. There are 3 tours to choose from Fabulous Foodie Tour, Brew House Tour and Sugar High Tour. Get fun-facts and tidbits of history about Blue Ridge, Georgia while enjoying the quaint town. Blue Ridge Olive Oil Company’s inviting cucina style store offers you 65 varieties of olive oil and balsamic vinegars and the opportunity to taste these remarkable innovations from around the world. Relax and enjoy the view along the scenic railway. This is a 26 mile stretch that is lovely any time of the year. What you see will vary depending on the seasons. During the holidays and other special events, the route may be decorated too. It is closed in January and February. Come experience the fall season at Burt’s farm in the secluded North Georgia Mountains where the only thing more beautiful than the fall foliage is the sea of orange created by thousands of Burt’s pumpkins. What could be more relaxing and enjoyable than a hayride through the mountains in the crisp cool autumn air? At Burt’s farm there are eight tractors and wagons that accommodate up to 20 people per wagon. These tractors and wagons carry people through a tranquil mountain stream into popcorn and pumpkin fields. Burt’s Farm is located at 4801 Highway 52, Dawsonville, GA 30534. Call (706)-265-3701 or 1-800-600-BURT for more information. Fun for all ages!!!! We are a 18 hole Miniature Golf Course located just South of Blue Ridge off HWY 515 next to Cohutta Country Store. We now have Gem Mining! Grab your bag and start prospecting! You never know what you will find. Visit us as 64 Dunbarton Farm Road, Blue Ridge, GA, Phone : 706-946-1920. Play Mini Golf, Gem Mine, Fish, Shop, Listen to Live Music, or just relax and enjoy the scenery. Fun for the whole family. If you love the idea of picking your own fresh fruits. There you will find delicious berries and apples. The types will vary depending on the season when you visit. This is a great place for the entire family to enjoy. This unique indoor 18 hole mini-golf concept features a variety of themes throughout 9 rooms. In between our themed rooms are games that guests can play as they move through the course. We offer everything from giant tic-tac-toe, darts, and checkers, to larger than life Connect Four and more! We also have an arcade, drinks, and ice cream. Going beyond the southern sweets, The Sweet Shoppe of the South’s heartfelt campaign “Eat Sweet, Be Kind”, serves as the company’s platform for anti-bullying. We Believe that God put us here to be a light for Him, to be an example of kindness, to lift one another up and spread smiles around like frosting. So many individuals are affected by bullying at some point in their lives, and we believe that promoting kindness can make a difference…one cupcake at a time. As you enjoy our made from scratch desserts, remember to Eat Sweet, Be Kind. Sadly, there are very few drive ins that still exist. In North Georgia, you can enjoy a double feature out there in the open. This drive in is open all year long, and they often have some of the newest movies you will find in the theaters. Carters Lake, the deepest of Georgia’s reservoir lakes, is located in the North Georgia Mountains in Gilmer and Murray Counties, this beautiful lake has 62 miles of shoreline and deep crystal clear water. The Carters Lake Marina has a store with on water gas and a pump out station. There are pontoon rentals and a seasonal restaurant, however, there is no swimming at the marina. Phone 706-276-4891 for more information. Check out http://www.sam.usace.army.mil/Missions/CivilWorks/Recreation/CartersLake.aspx for information regarding day use facilities on Carters Lake. At the Lake Blue Ridge marina you can rent a pontoon boat, launch your own craft, gas up at the gas dock for a day of fun, rent a jet ski, get your supplies for a great day on the lake at the store or just browse the showroom and pick out your favorite water craft for the experience of a life time. Phone 706-632-2618 for more information. Young Harris Water Sports offers boat and jet ski rentals to the Northern Georgia lakes, including those surrounding Nevaeh North Georgia cabin rentals. RESERVE YOURS TODAY! Phone: 1-706-379-9619. We are a full service horse facility located in the Blue Ridge Mountain of Blairsville, Ga. At A Step above Stables we guarantee to provide you with a trail riding experience like no other. We offer a wide variety of services from instruction, boarding, trail riding, breeding, showing & sales. S & T Stables is a 250 acre privately owned mountainous farm featuring a large stable facility, pasture, scenic trails, private lakes, and creeks in a serene setting. We are a full service experienced trail riding facility offering a variety of packages to make your time in the Appalachian Mountains as memorable as possible. With more than 30 years experience, we are here to make the most of your ride as we guide you through 250 acres of pristine private land. Meander alongside lakes, creeks, and breathtaking mountain views! Allow us to show you a memory to last a lifetime! Ready for a outdoor family adventure then visit our ranch. We offer rides for all levels novice to experts. From our soft and easy pony-go-round, to our Black Diamond level riding trails, there is something for everyone of all ages. We also offer a nature walk, trout feeding and a zip line right on the property. Location: 319 Hells Hollow Road, Blue Ridge, Georgia Phone: 1-706-408-RIDE(7433). Whatever your experience or expectations are, we have the horse that will be perfect for your excursion into the wilderness. A day spent with us will have you, your friends, and family coming back for years to come. Please view our pictures to catch a glimpse of what awaits you on your mountain escape. Cohutta Stables is committed to making your National Forest trail ride a premier experience. A quality gaited horse will carry you at various paces throughout the beauties of the North Georgia wilderness, ensuring your riding adventure remains safe and smooth. Tours are conducted on National Forest lands utilizing existing Forest Service equestrian trails, and covering some of the prettiest mountain terrain the Chattahoochee National Forest has to offer. They are licensed Outfitters and permitted to ride in the National Forest. They offer both half and full day trail rides in the beautiful mountains just minutes from Blue Ridge Georgia,and Copperhill, Tennessee. With over 250 acres bordering the Chattahoochee National Forest, Trackrock Stables offers an adventure you will long remember. Our beautiful valley is home to wild turkey, deer, and many other types of wildlife and lush, colorful foliage. Both the first time and skilled rider will find a well-trained horse to suit their level of experience. You will have the opportunity to learn horsemanship from one of our experienced guides as you ride across crystal clear mountain streams and canter through peaceful green meadows. For those staying in the north Georgia cabin rentals, they have one and two hour guided tours. Open year round! Location: 4890 Trackrock Campground Road, Blairsville, GA 30512 Phone:(706)745-5252. Family Owned and operated White Water Rafting, We love the river and we know you will too. Carolina Ocoee offers three water adventures on the Ocoee. The Middle Ocoee, from beginning to end will excite, soak and thrill, the middle section of the Ocoee offers great drops and wild waves. The Upper Ocoee offers the thrills of the 1996 Olympic course. Or choose the all day Ocoee Combo where you will enjoy both the Olympic course of the Upper Ocoee and the constant thrill of the Middle Ocoee. Ocoee Carolina also offers trips on the Nanatahala River if you plan to be in that area. Check out our website to book your trip or start your adventure at 225 Industrial Drive, Ducktown, TN 37326. Phone Reservations: 800-468-7238 or Outpost: 423-496-5050. Let us take you rafting on the Ocoee- America’s Olympic River! With dam-controlled releases, we can promise you exciting class 3-4 whitewater throughout the season. The middle Ocoee provides 5 miles of continuous fun. If you are up for a real challenge, make reservations for a day on the upper Ocoee and take on the challenge of riding Humongous! Phone: 1-888-723-8622. Whitewater Rafting on the Ocoee River in Tennessee is less than 20 minutes away from the north Georgia Blue Ridge cabin rentals! They are the oldest company on the Ocoee River providing guided whitewater rafting adventures Since 1976. Ocoee Rafting has welcomes you to miles of challenging and exciting Class III and IV rapids on one of the country’s premier rivers. Experience Ocoee River Rafting and feel the excitement of whitewater rafting on the Ocoee River. The Ocoee River in Tennessee has become the most popular whitewater rafting adventure in America with over twenty continuous rapids and many play spots for miles of endless fun and adventure. Make your reservations today! Call 1-800-251-4800. Raft One is owned by two bothers who want their customers to have the best adventure filled trip possible. They offer Ocoee Guided Rafting, Ocoee Mountain Biking, Ocoee Zip Line Canopy Tours and Ocoee Adventure Race Challenges. Reserve your spot today for a fun filled adventure! We are located at 4599 Highway 64 West Ducktown, TN 37326 Phone: 1-888-RAFT-ONE. Over 25 Years of Excellence in Whitewater Rafting. Rolling Thunder operates on the family-friendly Nantahala River in western NC, the exciting Olympic class Ocoee River in east TN and the gentle Toccoa River in North Georgia. Phone :(800)408-7238. We offer whitewater rafting, canoe and kayaking trips on the Chattooga River in Northeast Georgia. We hope you will find lots of useful information here on our website and if you have any questions please don’t hesitate to contact us at 800-868-7238. Wildwater Ltd. is widely recognized as one of the finest whitewater rafting outfitters in the country. For 30 years our attention to detail has made us a leader in the outdoor adventure industry. Providing high quality experiences on our adventure rafting trips is our number one priorty. You may not recognize state of the art equipment or staff training programs, but you will recognize our commitment to Quality, Safety, and Service. Located right on the Toccoa River, in McCaysville, Ga (15 minutes from Blue Ridge). The Toccoa river offers a quiet gentle flow of water perfect those wanting to relax. We offer different trip lengths and time varies depending on the water release by TVA. We rent tubs, canoes and kayaks. Reservations are not necessary for parties less than 15. We are located at 20 Hughes Street, McCaysville, GA. Call us at 706-492-5720. With Blue Ridge Mountain Kayaking you will choose from either a trip down the Toccoa River or a paddle trip on Lake Blue Ridge. Enjoy fishing, swimming, and mountain view on both trips. All trips are by reservation only. Call today to book your kayak adventure at 706-258-2411 or come by our office at 56 North River Road, Morganton, GA. Enjoy your day on the Upper Toccoa River with a guided tour or a on your own adventure. We offer kayak and canoe rentals and sales. We have different trips depending on the time you want to spend. We will cater to your needs, ensuring you a fun and enjoyable time. Contact us today to schedule your adventure. We are located at 15 Black Ankle Creek Road, Cherry Log, GA Phone 866-857-8758. Come join us for a fun day of tubing, kayaking and canoeing on the scenic Toccoa River. The Toccoa River is nestled in the beautiful North Georgia Mountains and is perfect for a relaxing day of floating on calm waters. These trips are ideal for families with smaller children that are too young to raft on the Ocoee. Come to 340 Toccoa Avenue, McCaysville, GA 30555 to begin your adventure. 706-492-5280 Check our website for updated information. Combine vacation and history together at one of the South’s most renowned Landmarks. A great addition to your stay in the North Georgia cabins, this 24-acre vacation and convention complex is located in the heart of downtown Chattanooga and has something exciting to offer everyone. The Choo Choo combines history and fun in a delightful blend that appeals to visitors of all ages. For more information, call 1-800-TRACK29(872-2529) or (423)266-5000. Creative Discovery Museum is recognized as one of the premier hands-on children’s museums in the region. Gather the young and young-at-heart and make plans now to visit us at Creative Discovery Museum. Whether it’s for a couple of hours or a whole day, time spent at the Museum is sure to be worthwhile learning for the whole family. Call (423) 756-2738 for more information. Harrah’s Cherokee Casino and Harrah’s Cherokee Valley River Casino both offer traditional table games! Just sit down and you’ll find the friendliest dealers around! Offering live games like Blackjack, Craps, Roulette and more. 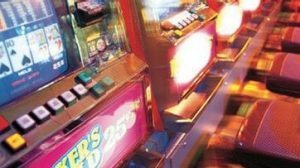 Harrah’s Cherokee is located at 777 Casino Drive Cherokee, NC 28719 approximately 85 miles from Blue Ridge Ga. Harrah’s Cherokee Valley River is located at 777 Casino Parkway Murphy, NC 28906 approximately 43 minutes from Blue Ridge. COme see why we were so happy to shuffle the deck and deal out some fun! Lake Winnepesaukah opens for the season on April 18th. Come and join the fun while staying in Nevaeh’s North Georgia, Blue Ridge cabin rentals. Lots of rides, events, free concerts, entertainment and much more! Located at P.O. Box 91498, Chattanooga, TN 37412. Phone: 1 -877-LAKEWIN (525-3946) or (706) 866-5681 Fax (706) 858-0497 Reservations/Information for Group Rates: Extension #243 Reservations/Information for Picnic Catering: Extension #242. Email: information@lakewinnie.com. Located on tribal land in the Great Smoky Mountains, this non-profit organization tells the story of the Eastern Band of Cherokee Indians, whose ancestors lived in these mountains for more than ten thousand years. Located at P.O. Box 1599, Cherokee NC 28719 Telephone: 828-497-3481 for more information. Explore the many caves at this magnificent place carved by nature. At Ruby Falls you will find amazing, awe inspiring scenery and many geological wonders. This is a great place to visit, even on a rainy day, while enjoying your stain in Nevaeh’s Blue Ridge, GA cabin rentals. They are weather proof because it never rains at Ruby Falls! For more information, see their website or visit 1720 South Scenic Highway, Chattanooga, TN 37409 or Telephone: 423-821-2544. Prepare to be transformed! You’re on your way to a great day at the park. Save time and money by buying your tickets online. You can even print your tickets at home with Print-N-Go. Just check out this link for all the information you need on North Georgia’s Six Flags Theme Park, Water Park and Animal Park! Come see for yourself why visitors like you rate the Tennessee Aquarium the best aquarium in America for overall guest satisfaction. Enjoy a remarkable journey from the mountains to the sea as you explore above and below the surface in the Aquarium’s two buildings. Discount ticket packages with the Aquarium’s IMAX 3D Theater make your travel plans easy and affordable.